The acquisition of an $8.5 million loan for the water and sewerage expansion in southern Ambergris Caye was debated at the Senate on Wednesday, October 3rd in the capital city of Belmopan. 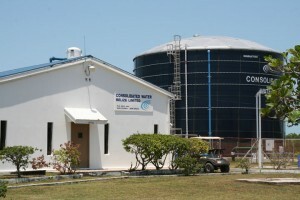 The loan was obtained from the Caribbean Development Bank, and part of it will be used to acquire shares of Consolidated Water Belize Limited (CWBL), which currently supplies Belize Water Services Limited (BWSL) on the island with water. The funds will also be used to expand the existing water treatment plant, renovate the island’s water and sewage system and improve the water distribution pipelines. The debate provided mixed opinions about the loan, as some Senators believe that the monies should be invested in infrastructure, rather than in purchasing shares. Minister Godwin Hulse, Leader of Government Business, explained that the loan is also to build a million-gallon tank on the island to increase capacity. According to him, there are currently 2.5 million gallons in storage, which is not enough. “During the Easter period, for example, a million gallons are used per day with the existing connection, this is the reason why the loan was acquired,” said Hulse. He believes that with the additional water tank, the water shortage problems affecting the island will cease. These thoughts were also shared by Area Representative and Minister of Tourism and Civil Aviation, Honourable Manuel Heredia Jr. According to Heredia, with an additional water tank, the island should never experience water shortages in the future. “The acquisition is in process, and this new system is expected to be in place in about a year from now,” said Heredia. However, the 13th Senator representing the Non-Governmental Organizations, Osmany Salas argues that the funds should be invested in infrastructure and sewage systems instead. “The issue could be a case of distribution, and it could very well be that expansion is probably not needed,” said Salas. “When it comes to sewage, I understand that probably close to 90% of properties in San Pedro still use septic tanks, which is a major concern.” Currently, BWSL is the only authorized agent in San Pedro to dispose of sewage. They count with sewage ponds south of San Pedro Town where raw sewage can be dumped with the company’s permission. Other Senators like Mark Lizarraga, supported the notion for the loan, stating that putting in new systems and increasing capacities are of good interest and planning. “I think at some stage, we need to seriously look at when our water company is going to be putting in a new system, such as fire hydrants,” said Lizarraga. He referred to the past fire tragic incidents around the country, in which there was a lack of infrastructure for the water system. Lizarraga believes that this project should alleviate not only the water issues on the island but if the proper infrastructure is put in place, it will benefit all via distribution, water treatment and combatting fire threats with functional hydrants. The need for the improvement of the water and sewage system on the island became eminent during the high tourism season of this year when the island experienced concerning low pressure and water shortages. As Ambergris Caye continues to develop rapidly, the demands for water and proper sewage treatments continue. One cause for the issue as explained by BWSL is that their supplier CWBL has been unable to supply the quantity of water needed to meet the island’s water demand during extending peak periods. CWBL has rebuked that argument, claiming that BWSL can request for an increase in the amount of water they need, and they can meet the demand for water on the island; stating that they have yet to operate at full capacity. 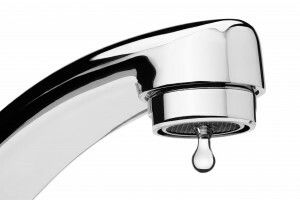 CWBL maintains that BWSL has never requested an increase for water.